The frame is from one of the great SC papers in the Cuppa kit. The house, sentiment, and teeny snowflake stamps are all from the exclusive ME set. Love.them.so.much!!! And guess what? There's a giveaway going on at this hop! Click on over to the Mama Elephant site for all the details and to get the blog hop list! So so cute!! I love how you framed the houses! The frame looks so cute! What a great idea! Beautiful card, love the frame idea. Thanks for sharing. Oh I love! The frame hanging off the banner is so fun and love how you colored in parts of the sentiment. This has the feeling of looking through a window at a sweet snowscape - love it! Ok, so JJ, how do you always come up with such fun cards?! Like a pic of our own homes sent to a loved one over the holidays. Love your creativity! LOVE it!!! it's a picture frame and it's even hanging!!!! get out of here - it's so amazing!!! and the colors are so hip and FUN!! 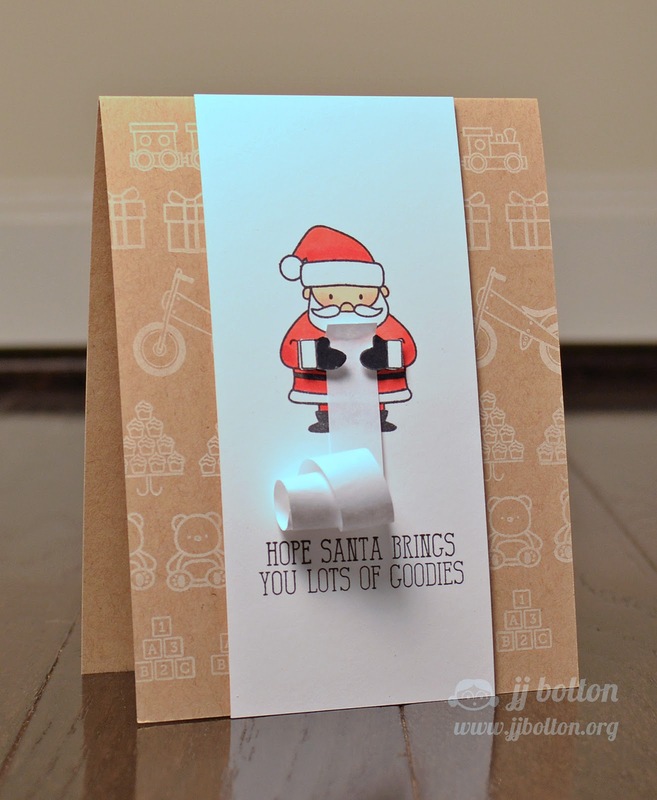 love the pins and the colored in loops from the sentiment!! so classy and still fun! love love love!!! Such a pretty card, JJ! I love how you framed out your scene and colored in your sentiment...so FUN!!! Darling card! Love the frame. is a fantastic card, Love the frame! Love the picture frame look, JJ! Fantastic card JJ! Love the frame you created! This is a (virtual hug) as per ME's request! You all have stepped up and brought us wonderful cards for the anniversary and now for this release! Thank you so much for all of your work! You are appreciated! Cute and creative = LOVE! 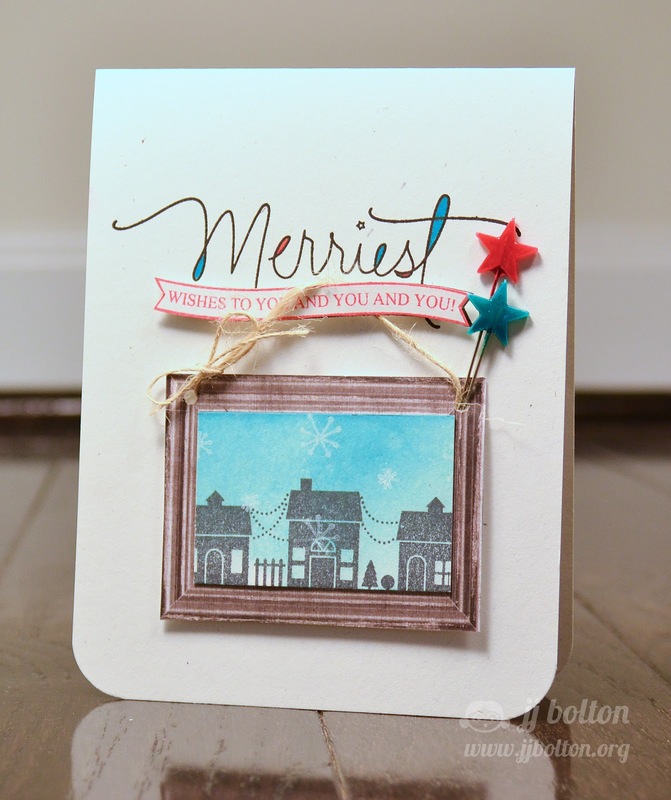 Cute card - love how you framed the little houses. I love the frame idea, very creative! Fab creation - love the frame detail. Great idea framing your houses. 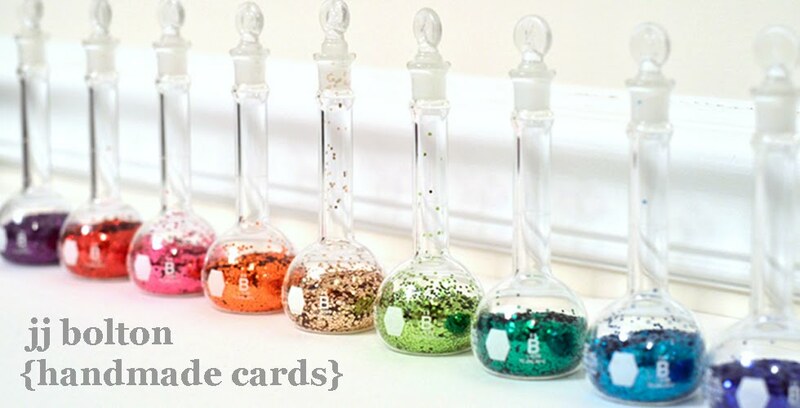 The pops of color in the sentiment coordinate so well with your stickpins. This stamp set is a real hit in my book. I so want to CASE Geralyn's holiday card for mass producing. 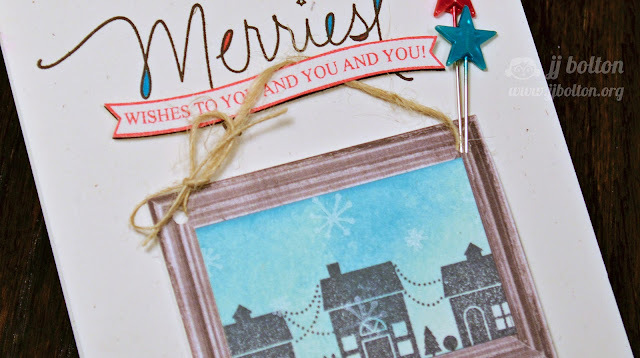 What a fun blog hop & awesome card kit & exclusive stamp set. Super job, JJ! Eeek! The frame, the stick pins, the coloured-in-doodly-feel to the sentiment....oh em gee. Love it!